Grab one off the table and enjoy while you peruse my credits to find out where you can find all this amazing stuff, new and old. 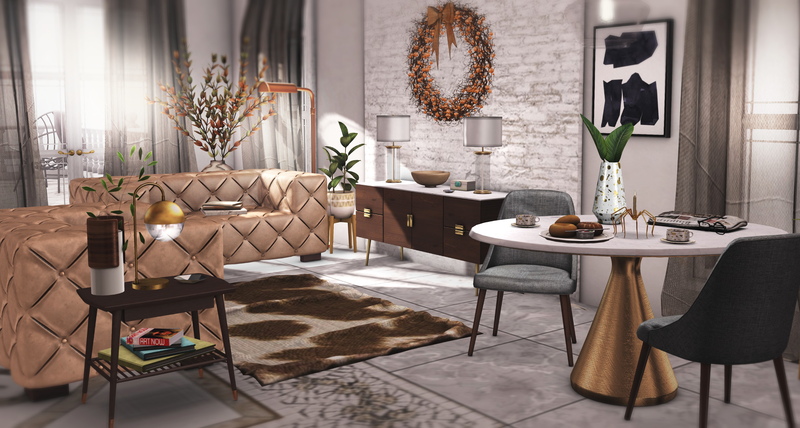 I’m more than sure that in this lifetime I will never own a yellow couch outside of Second Life. Though isn’t that part of the charm and beauty of decorating here? The ability to play with different styles and colors and change it out almost immediately if it doesn’t fit your mood. Talk about being blessed! If you haven’t made it over to Collabor88, then now is the perfect time. It’s less crowded and much more fun to take your time looking at everything. Don’t miss checking out this Juniper set by the Loft & Aria. Each piece is sold separately and available in several colors. Also, in my last picture I showed a game by [InsurreKtion], which is from their Wood Games Gacha, currently available at Chapter Four. Here is two more pieces from that set. The vendor key can be seen here. Back soon with another awesome set of decor. *Changed out picture – posted the incorrect one. Hello everyone. I know my title won’t make sense, but the name holds a very special meaning to me and part of my history here in Second Life. It’s also the name of the constellation wall decor by Cheeky Pea, available as part of a gacha in this current round of Lootbox. 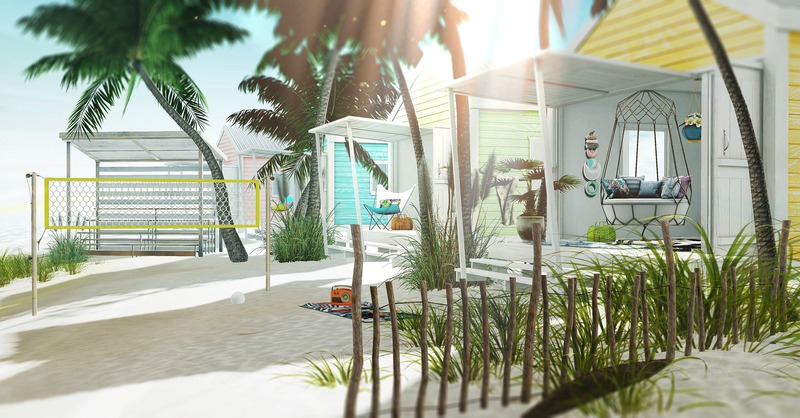 I’m showcasing this amazing Island Resort set by unKindness, available now at Collabor88 and then two adorable decor sets by Ariskea, which are at events as well. Just peek down below for all the information. 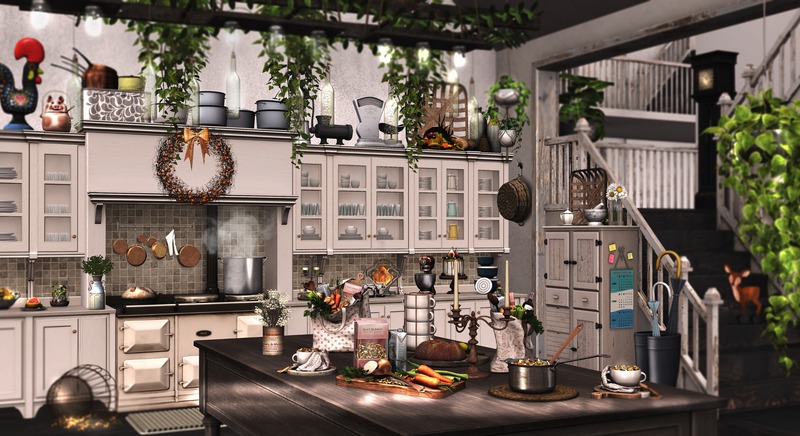 *[Kuva] Set by Ariskea @ FaMESHed Go!